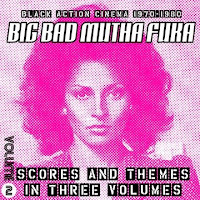 Part 2 of this little contest… Another 31 tracks of the best Blaxploitation soundtracks and movie dialogues. Read the previous post for the contest's rules. Of course, some of the tracks are pretty obvious: Shaft, Supefly and Black Caesar come to mind. But what about all the others? Before trying to solve this puzzle, pay a visit to the Blaxploitation reference website. This should wet your appetite.